The Olympia School District’s FIRST Tech Challenge (FTC) teams all had wining performances at the inaugural Intel Olympia FTC Regional Qualifier on December 4, at Olympia High School. 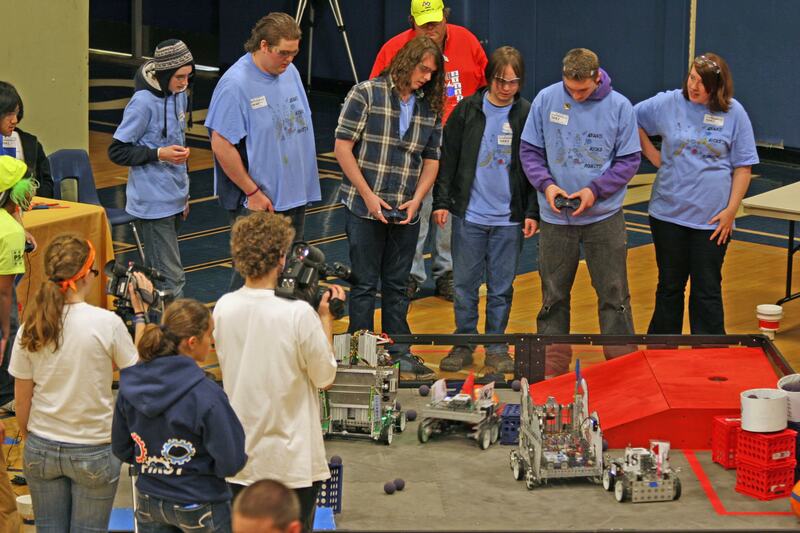 The two teams from Avanti High school ended the 7 qualifying rounds ranked number 1 and 2. 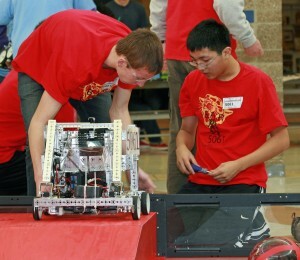 They selected each other as partners in the elimination round, and proceeded to win it all – qualifying both teams for the FTC StateChampionships on January 15. 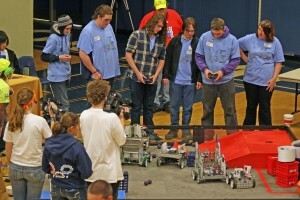 In addition, one of the Avanti teams won the Robot Design Award for their simple, but bulletproof, design. The rookie FTC team from Capital High ended the qualifying rounds right behind Avanti in third place. The Capital team selected a team from Seattle as their elimination round partner and easy won their semi-final match. Despite losing to the Avanti pair in the finals, the CHS team also won the prestigious Think Award, and earned one of the two remaining slots for the FTC State Championships. A huge THANK YOU goes out to all our STEM Pals FTC volunteers, who signed up, and got their training, just days ahead of the event. Their dedication and commitment to our students made the first annual Intel Olympia FIRST Tech Challenge Regional Qualifier a tremendous success.